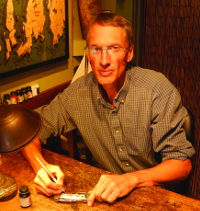 Working studio & gallery of native Newport photographer Alexander “Sandy” Nesbitt. 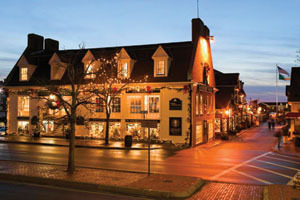 Two-part fine art photo collection featuring iconic Newport images & adventurous world travel shots. Limited edition fine art paper, canvas &metal prints of thought-provoking & beautiful images. Custom projects welcome. Mon-Fri 10-5. Specializing in paintings, prints and works on paper by Modern & Contemporary masters, this small gallery is for serious art collectors and connoisseurs. With over 30 years of art dealing experience in London, New York and most recently Litchfield, CT our thematic exhibitions are exciting, interesting and critically acclaimed. Summer Wed-Sun 11-5, Sept-Nov & April-May Fri-Sun 11-5 & by appointment. 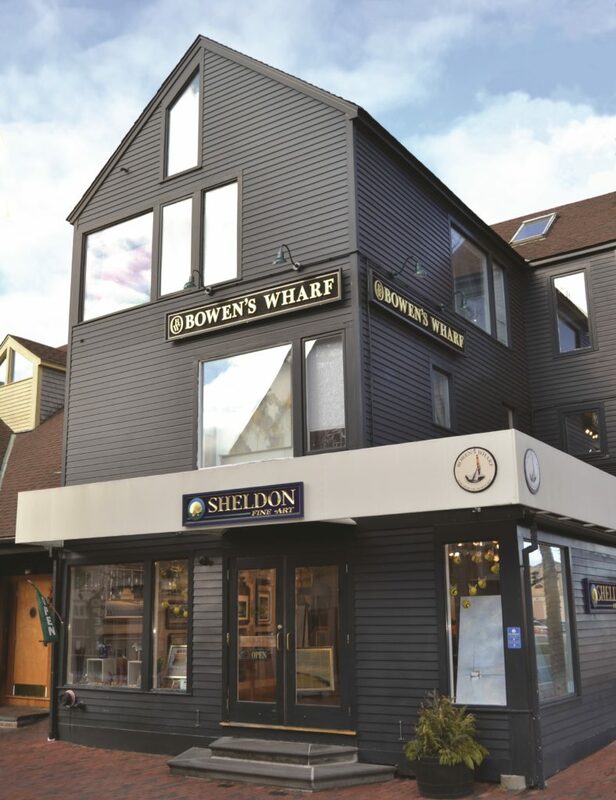 Three floors of marine and landscape artwork by regional and international artists. Museum-quality custom framing and fine art supplies. Paintings, prints, unique gifts, cards, handmade papers, and engravable gifts for all occasions. Mon-Sat 9:30-5:30, Sun 12-5. 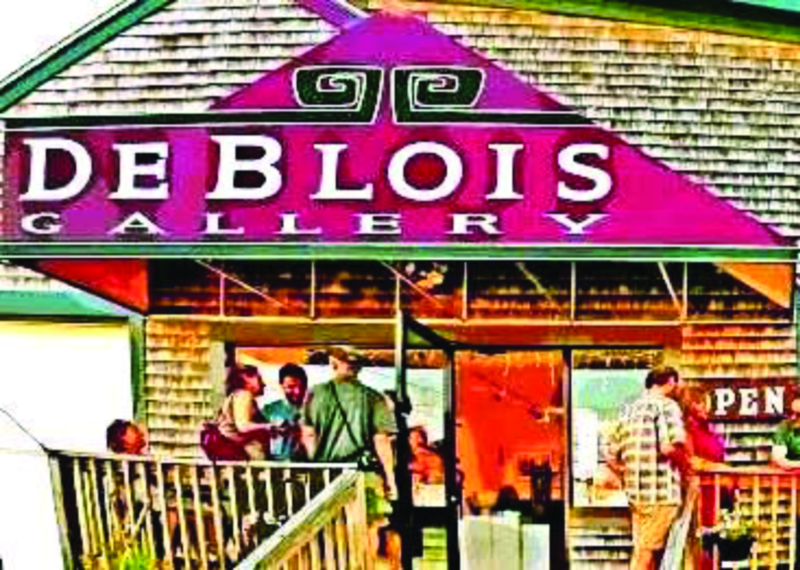 A working studio & gallery, see Mark Fernandez, an oil painter in the Plein Air style with works based on an Impressionist style, & Laura Fernandez, a stained glass designer with whimsical & detailed creations in the Tiffany style, working on their art. Daily 11-5. 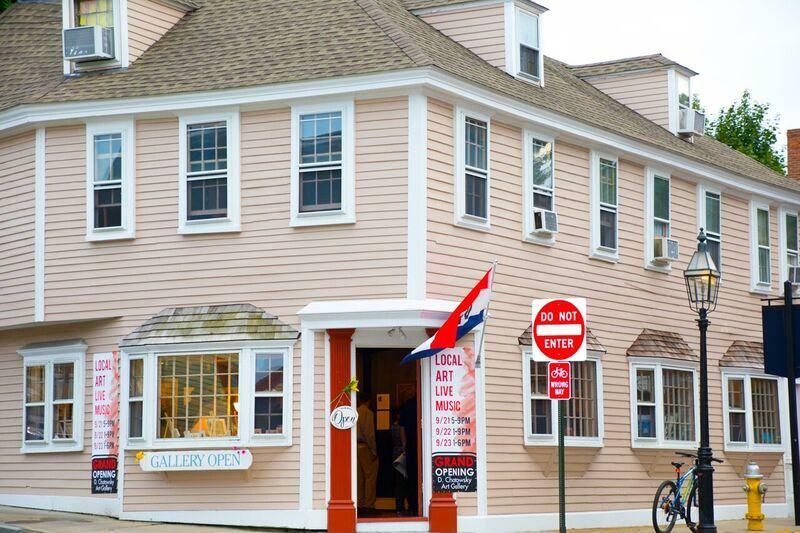 Atelier Newport represents an eclectic mix of contemporary painters, sculptors, and woodworkers. 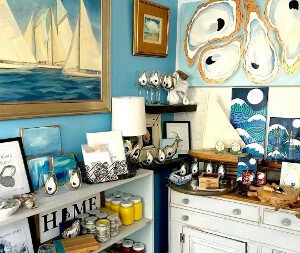 Featuring 30 emerging and mid-career artists, most of which have strong ties to Rhode Island, Atelier Newport has taken down the traditional gallery walls and created an oasis for artists and collector alike. Appt. 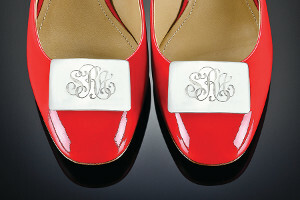 only Mon-Wed & Sat 10-6, Sun 11-5. Thematic exhibitions rotating 3 times per year. Exhibit on view “Muscle Car Madness” exhibiting thru June 25th. Open daily 10-4. Cars & Coffee at Preservation Society Mansions all summer. Visit our website for more info. Open Daily 10-4. 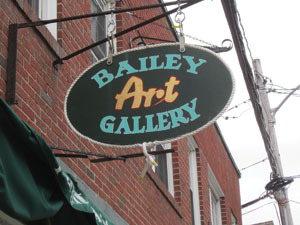 Artists Jane & Mike Bailey, owners of Bailey Art Gallery, work in pen & ink, watercolors, pastels, acrylics & oils. In addition to their paintings & drawings hanging on the walls of their gallery, the Baileys will make portraits of homes, people, pets & boats from your photos. Check Online for Hours. The showroom of furniture maker Jeffrey Greene, specializes in Goddard and Townsend designs. Each piece individually crafted by hand, continuing the tradition of Newport’s legendary 18th century craftsmanship. Open Daily. Exhibiting a range of traditional to contemporary artwork, with emphasis on contemporary. We represent a variety of interests, media and subject matter, featuring group and solo exhibitions by highly skilled, established regional and national artists. Thu 12-5 Fri 12-6 Sat 12-5 Sun 12-4 Check website for updated hours & events! Also by appointment & chance. 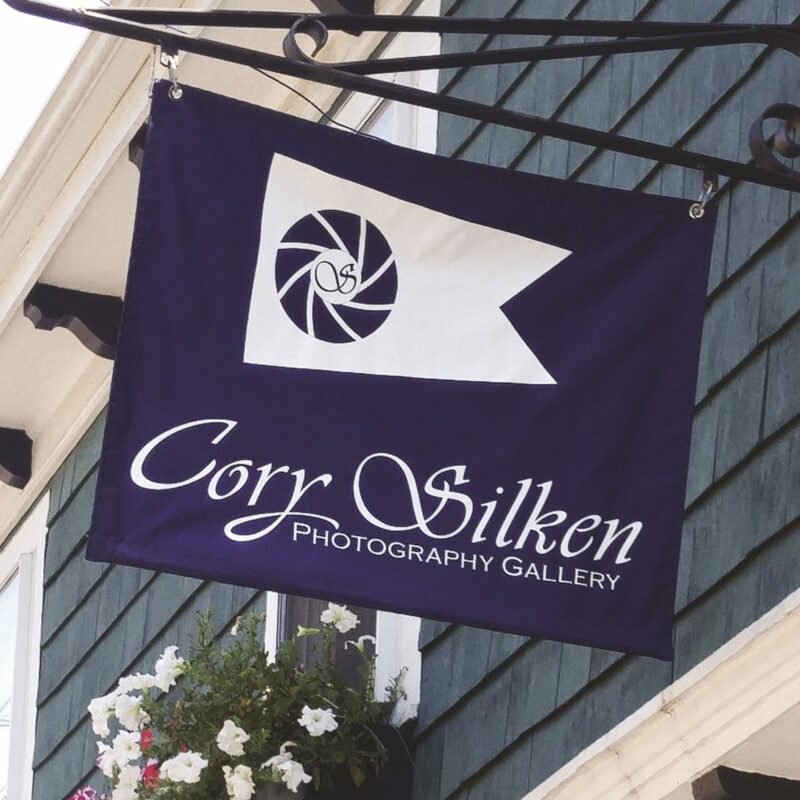 Dynamic yachting photography and vibrant local landscapes by one of the world’s preeminent nautical photographers, Cory Silken. From posters to limited edition originals, the gallery presents work suitable for every collector. Regular hours Memorial Day through Columbus Day otherwise by appointment. 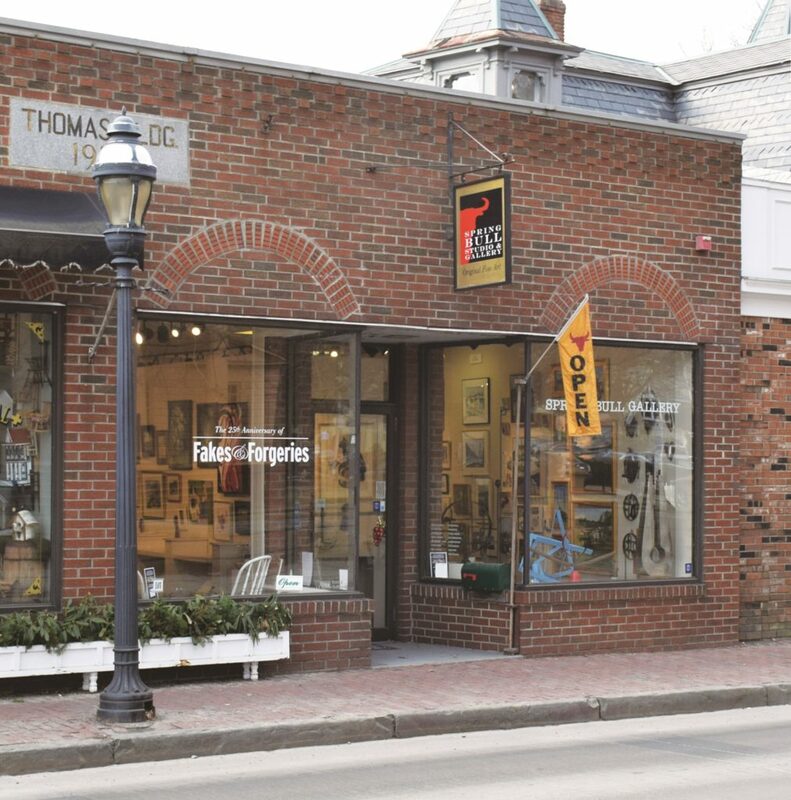 The D. Chatowsky Gallery features local art including painting and 3-d work from artists of all ages, backgrounds and styles. The gallery offers a unique variety of inspiring thoughfull and beautiful local work. 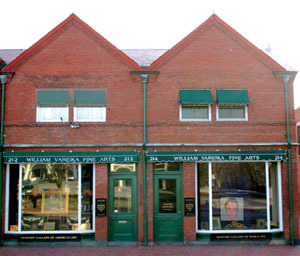 A Cooperative Art Gallery – All Mediums – Experimental Art and Traditional – Gallery Member Art and Guest Artists – Openings the First Saturday Each Month. Wed-Sun 1-5. 7 Dr. Marcus F. Wheatland Blvd. 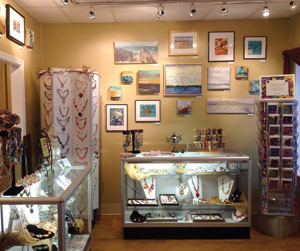 “Sharing Art, Sharing Space, Sharing Community” – An eclectic gallery and studio featuring handcrafted jewelry and paintings created by adults with disabilities who have a passion for the arts. The gallery also showcases the works of guest artists from the community. Mon-Fri 9-3, Sat 10-5. Tennis as a muse? Indeed. Among the extensive collection of tennis artifacts is an unexpected and wonderful art collection ranging from a 1538 Renaissance painting to an Andy Warhol portrait of Chris Evert. Prints by celebrated American painter George Bellows showcase “Tennis in Newport” Open, 10-5 Daily. JW Reilly brings together her beautifully handcrafted sterling silver jewelry with the works of some of the finest Artists in New England. Spring/Summer hours 12-5 daily Fall/Winter by appointment. View American art from the late 19th century to the present, programmed exhibitions of contemporary art in the Museum’s John N.A. Griswold House, (a National Historic Landmark), & the Cushing Building. Artist talks, film screenings, lectures, musical performances, art classes, camps & workshops scheduled throughout the year. Tue-Sat 10-5, Thu 10-7, Sun 12-5. Newport Contemporary Fine Arts exhibits work by new and emerging artists. 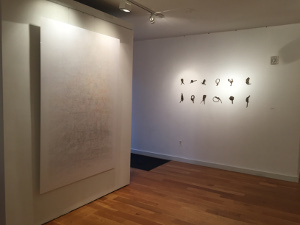 The gallery draws inspiration from diverse artistic approaches, materials, and media with focus on contemporary works. Scrimshaw, 19th c. whaling art of engraving ivory or bone, by resident artist Brian Kiracofe. Representing several award- winning scrimshaw artists working on sperm whale, ancient mammoth, old walrus and repurposed elephant ivory. Winter 10-5:30, Summer 10-10 Daily. Fine Art Nautical Photography Onne van der Wal, a world renowned, award- winning photographer showcases his best nautical, Newport and travel photography. Open Daily Year Round, Winter: Mon-Sat 10-5, Sun 12-4, Summer: Sun-Thu 10-8, Fri-Sat 10-10. A National Historic Landmark, the Redwood is a hybrid museum, rare book repository, and the country’s oldest continuously operating lending library still in its original structure. Today, the Redwood features two art galleries with rotating exhibitions and offers a full schedule of events, including lectures, children’s programs and musical performances. Tours Mon-Sat 10:30 Open Mon-Sat 9:30- 5:30, Wed late until 8. Sun 1-5. Newport’s oldest fine art gallery. 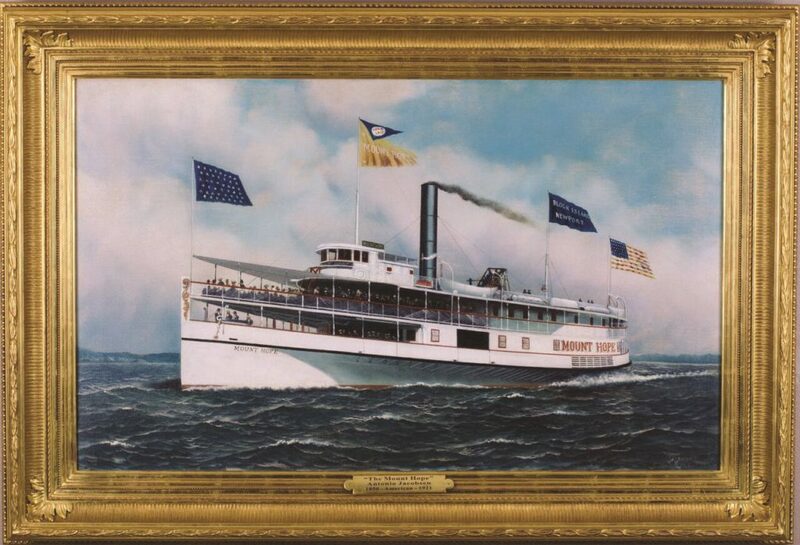 Fine American paintings of the 19th & 20th centuries for collectors of all levels. Extensive marine collection, American Impressionism, Barbizon & Tonalist, Hudson River & Regional paintings, 19th century African-American art a specialty. Mon-Sat 10-5, Sun 12-5. 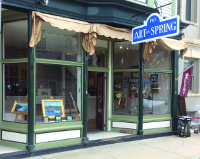 A thoughtfully curated gallery specializing in Local Fine Art, Craft & Gift. Representing over 40 American made Artisans with a monthly rotating exhibition. Tue-Sat 10-6. Representing contemporary artists, both domestic and abroad, for 34 years. Our collection spans from traditional maritime and contemporary coastal, to ultra-modern abstract art. Paintings and sculpture to complement any collection. Art Consultation and framing also offered. Sun-Thu 9-6, Sat-Sun 9-8. Open late summer evenings. 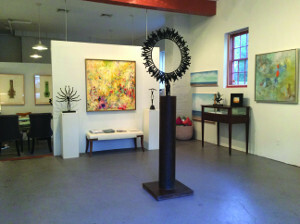 Founded in 1990, offering original fine art in many styles that reflect the diverse visions of its cooperative members. 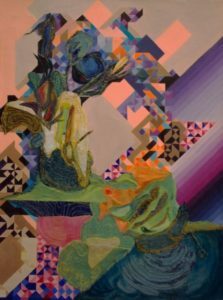 From realism to abstract, from watercolors to oils, sculpture to pottery are on display. Hours are daily 12 to 5. 400 & 688 Thames St.
Hand Blown Glass by Matthew Buechner Since 1981. Beautiful hand blown glass vases, ornaments, fish, snowmen, fruits, vegetables, and other original designs made here on the premises. Glassblowing Lessons. Shipping available. Call for hours. “Best of RI” (RI Monthly). Established in 1987. 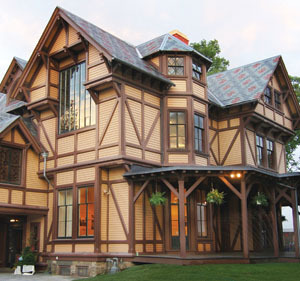 One of the largest galleries in New England. 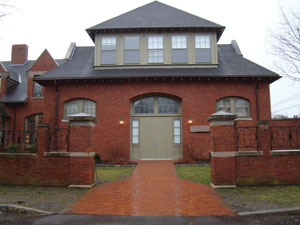 Located on historic Bellevue Avenue. 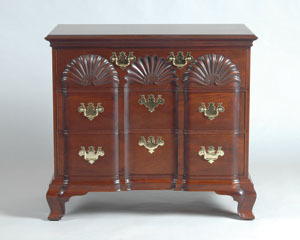 Specializing in the purchase and sale of museum-quality 18th, 19th, & early 20th century American art. Consultation on restoration & framing. Mon-Sat 10-6, Sun 1-6, and by appointment.